Pork Sicilienne is a classic meat and fruit dish of which there are many in Sicily. Melting pork and gorgeous prunes in Marsala, that lovely fortified wine from the area of the same name. £8.50pp which includes a side dish of potatoes, tomatoes and olives and a hunk of sourdough bread from the Bakery. In recent years Artisan bakers like me, have been springing up all over the country baking 'honest-to-goodness bread' in retaliation against the awfulness of ubiquitous industrial loaves (I refuse to call it 'bread' because it isn't) which have been filling our shops and supermarkets over the past 50 odd years. If you're a Sourdough virgin I would recommend making a Hybrid loaf, which is a great way of introducing you to sourdough bread. I make a Pain Rustique using a sourdough starter 'Poolish', 12-18hrs before my bake, adding a tiny amount of commercial yeast before allowing my final mix to proof for several hours, or even overnight, before shaping and baking. I love the crust, the crumb and the wonderful Sourdough flavour - but I've achieved that subtle 'lightness' from the additional yeast. Also, I have a few customers who find the flavour of 100% Sourdough a tad strong, so they are very happy with this alternative. Also, unfed sourdough starters (yes, you feed them like pets) adds wonderful flavours and textures to crepes, cakes, biscuits and even pastries. Sourdough Croissants - Died. Gone. Heaven. The Real Bread Campaign is fighting for better bread in Britain and has a wonderfully informative website, which I urge you to have a look at. It contains just about everything you need (knead) to know: WARNING the world of real bread is littered with puns! They've published a new book full of super recipes which I can thoroughly recommend, for even the novice bread maker. The money from their merchandise helps to fund this campaign and you don't have to be a baker to join the fight! OK, back to where I started SOURDOUGH SEPTEMBER. During the month The Real Bread Campaign are promoting all things Sourdough, and many bakers are running classes, workshops, community events etc, to highlight the wonderful breads that are now available in this country. As part of my contribution, I'm giving away some of my sourdough starter - Krakatoa, East of Aston End. I rescued Krak from a Poolish that I'd forgotten about until, a month later, I opened the tub expecting to be assaulted by The Creature from the Black Lagoon but was amazed to find a kracking (sorry) starter. I have three others, Etna, Vesuvius and Stomboli (there is a theme going on here - you would understand my logic if you've experienced an over-excited sourdough). I'm away for a chunk of Sourdough September, so I'll be extending this offer into October. It would fill me with delight if you used it to make a loaf (full instructions and advice given) even knowing that you've smelt that wonderful 'beery' aroma and observed a 'living' ingredient - rather like the ginger ale 'plants' that used to round when I was a child. A sourdough potion is magic stuff which wouldn't be out of place in a Hogwarts laboratory! Simply, email me to let me know when your coming and turn up with a container - one with a sealable lid is preferable - and a name! My Chef son Max has two - John and Jane. ................... Dough - geddit?? I run bread classes from my own kitchen, which is a unique feature of a heavenly host of bakers called Bread Angels. Students find a warm, domestic kitchen comfortable and reassuring. 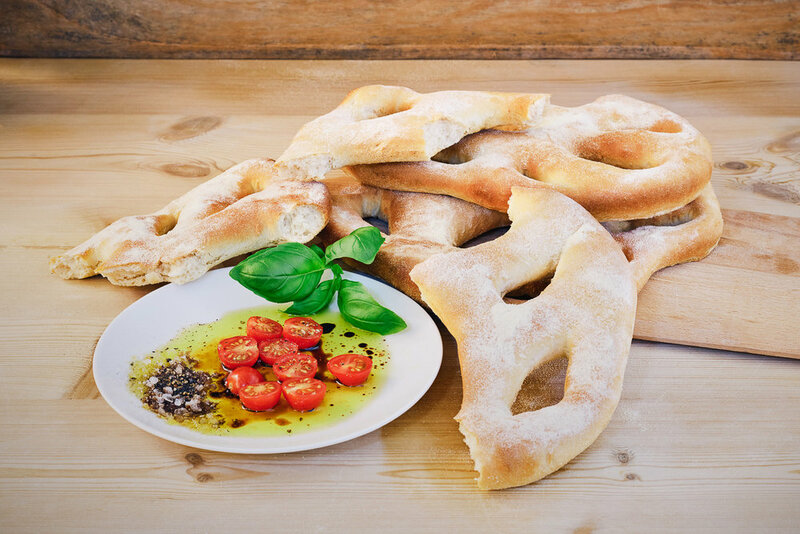 My course is for beginners or keen bakers who want to 'up' their bread making skills. Making bread is a totally tactile experience which you cannot get from recipes or YouTube. I also introduce you to the dark arts of sourdough!! There are dates from now until Christmas. To get you in the mood have a look at this TED video by the marvelously inspiring US educator and baker Peter Reinhart. On Monday 26 June I held a bread class for 3 volunteers from iPro. iPro stands for ‘involvement project’. iPro is formed of a group of young people who volunteer to act as a focus group for Herts Young Homeless to help improve the charity and make a difference to youth homelessness. These young volunteers have all been homeless themselves and often came from chaotic, dysfunctional families where living at home was not an option. Suffering from various problems, drug, alcohol, physical and sexual abuse to neglect, learning difficulties and mental health issues, they ended up on the streets. My 3 students (should’ve been 4, but one had to cry off as his epilepsy was becoming increasingly frequent) were incredibly polite, witty, intelligent and very politically astute. The first student to arrive was originally from Uganda and has been here since he was five. He came here with his father and 2 of his brothers, whereas his mother and the rest of his extended family preferred to stay in Uganda. Handsome, funny and very philosophical, I learned a lot from his opinions on the issues of today and the injustices young, disadvantaged people suffer. He was horrified that I wouldn’t let him tidy and wash up. Having been reunited with his father, his favourite activity was cooking for his family and making chapattis. You could see that in his method of rolling out pizza dough! He hopes to go back to university and continue his engineering studies. Another student came originally from South Yorkshire. Her extended family included 17 brothers (3 killed in the Gulf War) and 5 sisters. I particularly warmed to her as she was very spiky, wasn’t afraid to speak her mind and was obviously admired by her peers. She had various physical issues which strongly suggested physical injuries rather than conditions she was born with. She admitted to past drug abuse and mental health issues. She was concerned that she wasn’t always sure whether she had taken her medication or not which led to uncertainty about her long term condition. She was also funny and very forward with her opinions. Her favourite occupations where cooking (her knowledge of cooking terms and ingredients was impressive) and creative writing. Her genre was slasher/horror, so everyone thought it hilarious when I gave her a very large machete type implement to cut up the pizzas. Student 3 was a very reserved individual and only spoke when spoken to and refused to be photographed. It was suggested by the others that he was thrown out when his parents discovered he was gay. He was the volunteer for iPro that went into schools and clubs to talk about the causes and issues of homelessness and generally supported the more vulnerable volunteers. I had a fantastic day with these young people and we made some amazing bread. Definitely the best pizzas made in any class I’ve taken despite toppings of every description including the kitchen sink. Our group hug, when I dropped them off at the station, brought tears to my eyes. It is so tragic that every child isn’t valued and brought to their full potential. These young people, through various awful circumstances early in life, have had their potential stifled. My hope is that it’s just a temporary ‘blip’ in their lives and with the help of hyh they can lead fulfilled lives in the future. Freshly baked bread ‘crackles’ when it emerges in its’ crusty, golden splendour from the oven. It is just the sound of the loaf contracting as it cools, but to a baker, it’s a heavenly choir singing the Hallelujah Chorus. There are many predictable comments from students baking real, honest bread for the first time during the introduction to my Bread Making Classes. ‘The flour is so silky’. ‘Wow, this dough feels beautiful, nothing like my attempts’. ‘OMG, look at my bread rising’ (this is from the little crowd, Bake Off style, crammed round the door of the oven). But the most momentous moment is when they hear their loaves ‘singing’. Imagine George Clooney or Angelina Jolie walking into the room. Shrieks, fainting (OK, exaggerating a bit here), hugs and high fives. Amazing reactions to a freshly baked loaf of bread! If you’ve watched the American baker Paul Reinhart on the TED talks (really worth a watch), he talks about the life, death, life, death cycle of bread. Wheat, is planted and grows – life. The wheat is harvested – death. Water is added to the ground wheat and made into dough – life. The dough is baked in the oven – death. I love to think that when my loaves sing, it’s their last opportunity to celebrate humanities oldest, most miraculous, life-sustaining foods. A day in the life of a Bread Angel - an introduction to Bread Making Class: 1 February 2017. The 31st January was a dark and stormy night in Aston – well, alright, there was a light breeze and it was mizzling – when the lights flickered and died. Normally, this is an opportunity for lighting a few candles and sitting in front of the fire, but I had a feeling in my waterworks that I could have a terrifying situation developing if the problem carried on into the morning. I have electric ovens! Predictably, the lights went poooof around 7am the following morning. Panic set in but I thought that in the past, outages only lasted an hour at most. My 4 students turned up at 10.30am, Claire the Fairy from Hertford, dedicated dad Olaf from Hitchin and the charming Danica and Walter from Texas – yep, you heard me, Texas. They were on a 10 day trip to the UK and thought a class with a rural artisan baker would be really cool. The kitchen was candlelit to dispel the gloom, which Walther thought was really British and rather medieval – gulp. I suggested we could carry on with the class, hoping we would have a blast of electricity at some stage soon, or they could have a refund/reschedule, but they all elected to stay and thought it was great fun – gulp again. I’d tried to retard the dough but my fridge was too small, it was not particularly cold outside, so I just had to watch their lovely dough over-prove and start to flow. Pizza is a tasty break in the course, which they make themselves and everyone loves it, but with no ‘lecky’ this wasn’t going to happen. It was one of the most stressful but hilarious days I’ve had in a long time. Everyone had great stories to tell as we got to know one another. They loved making their dough, despite doubts they would ever eat any bread. They all said it was a fantastic day and had learned so much, despite eating soggy pizza and missing that magic moment when a golden loaf appears from the oven (they all looked a bit ‘beige’). Olaf said he had got exactly what he wanted from the course, which enabled him to go to the next level in his bread baking adventure – every penny spent was worth it. Claire got the confidence to bake bread at last and sang my praises on Social Media, Danica and Walter – well, they loved every minute and wouldn’t have missed it for the world. Me? I’m suffering from PTSD but, hey, I’m a Bread Angel and my halo will be polished and gleaming for the next class. So if would like to make a fresh honest bread order or enquire about class availability (with electricity), please call me on 07811 356046 or drop me line at honestbread@astonparishbakery.co.uk as I'd love to hear from you. Oh and don't forget that tasty bread loves to grow in 220ºc 😀 (although my strapline was temporarily suspended on this occasion). Just 2 years after starting my fresh cookery enterprise DiCooks - serving the best Cookisto takeaways in Hertfordshire - I'm chuffed to announce the launch of Aston Parish Bakery, a micro bakery catering for the growing demand for my honest bread. Aston Parish Bakery is a micro bakery offering 2 simple services - delicious bread to order and the opportunity to book onto my new Bread Making Classes. So if would like to make a fresh honest bread order or enquire about class availability, please call me on 07811 356046 or drop me line at honestbread@astonparishbakery.co.uk as I'd love to hear from you.